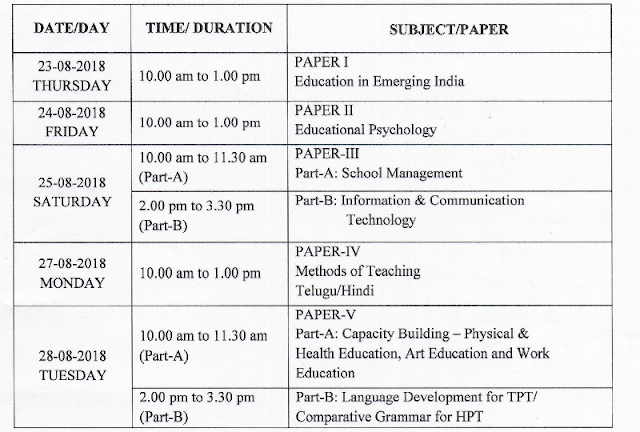 APT (TPT / HPT) Timetable Download January 2018: Directorate of state audits Andhra Pradesh has released the LPT (Language Pundit Course) TPT (Telugu Pundit Training) / HPT (Hindi Pundit Training) 2018 Batch Examination Timetable 2018. So many candidates are waiting for this exam fee. All required candidates can access and download this page. It is reported that the TPT / HPT exams for regular candidates from 2018-19 batch and once failed private candidates for previous examinations from 2018 from 10am to 1pm. At the identified test centers in A.P. 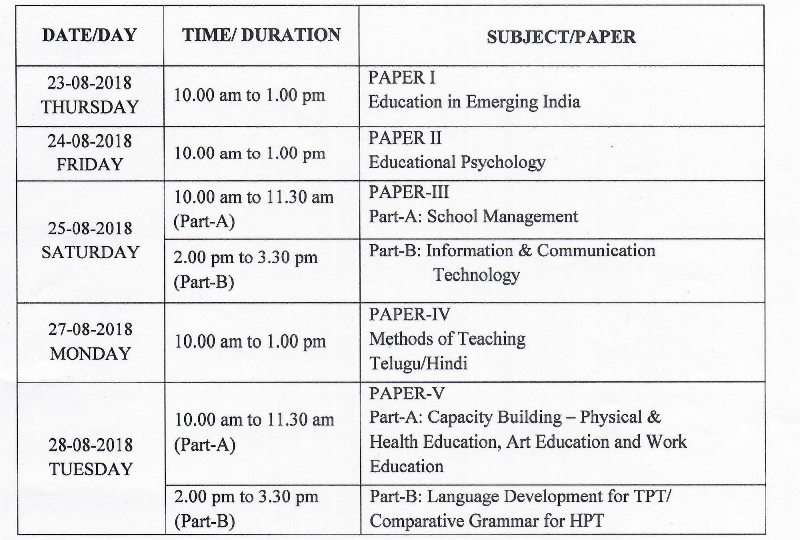 The following is the time table. The regular and complementary students of HPT and TPT participate in the annual HPT and TPT examination, which will be held in 2018.